If you need a high-density, carrier-class cable modem termination system, you should consider the Motorola BSR 64000 CMTS. Based on DOCSIS 3.0 technology, this CMTS and edge router is built with tomorrow’s next-generation Ultra-Broadband services in mind. Operators turn to the BSR 64000 to deliver speeds even greater than 140 Mbps in DOCSIS and 200 Mbps in EuroDOCSIS environments with a per-flow QoS delivered via downstream channel bonding. It has become a go-to investment for migrating to the latest DOCSIS tech, as well as delivering consistently high throughput to residential and commercial customers at the core and edge of a network. All models, including refurbished Motorola BSR 64000s from Worldwide Supply, deliver five-9s availability with redundancies for IP voice, video and data. New and used Motorola BSR 64000s provide an ether-flex high-speed interface module that offers dual GbE and eight 10/100 Ethernet interfaces, plus options for single-port HSIM2 GbE modules. 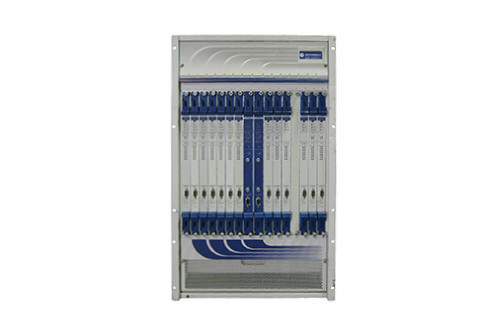 The 16-slot chassis takes up 17 RU and supports a variety of different configurations and setups. High-performance hardware-based IP routing at more than 42 million PPS per chassis pairs well with multiple multicast supports, flexible downstream capacity expansions, how-swappable modules and dynamic QoS support. Get the latest in high-density carrier capabilities at the most affordable rate when you select a used Motorola BSR 64000 from us. Our engineers ensure everything is brought up to OEM standards so you are field-ready with enough left over to start your next round of expansion planning.